In the last post, we discussed the colonization of America by Spain, France and the Netherlands. We touched up on how their colonies pretty much failed in establishing permanent settlements due to disease, lack of funds, and indigenous people. But now, it’s time for England to jump into the New World colonial game. While the chronological order of this series will seemingly break apart here, it’s important to cover this section first. Of all European nations, it would seem that England would be one of the countries most involved in attempting to colonize America. Their long history of dominance in Europe along with their strong navy and vast middle class filled with entrepreneurs and investors seems like a good backup for said argument. But, why isn’t England not interested in America yet? Well, lets back up a bit. Henry VII (1485 – 1509), the king of England during the first slice of this time period, loved making money, but hated spending money if profit did not look concrete. European adventurers attempted at first, but few made profit. However, in 1509, Henry VII’s son, Henry VIII (1491 – 1547) took the throne after his father’s death. Henry VIII was a spoiled, self indulgent brat who spent money like there was no tomorrow, and was known for his tyrannic-like rule and cruelty. 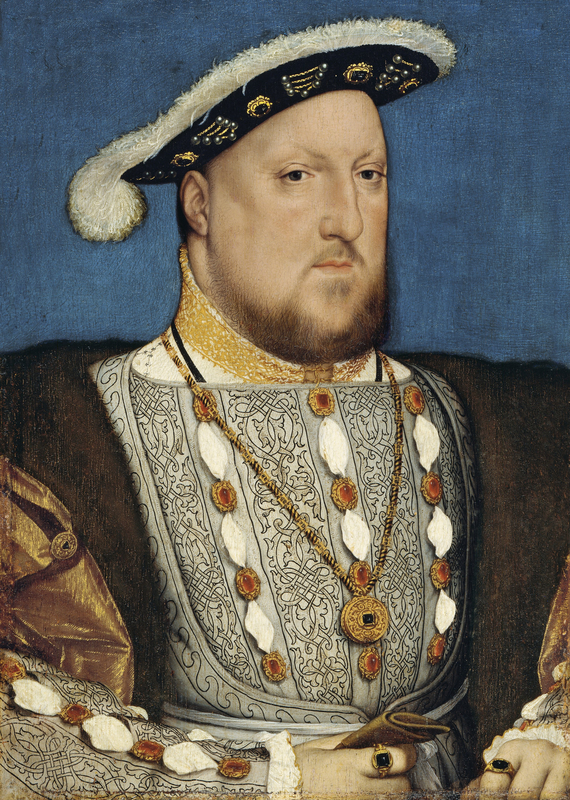 Henry VIII, in history, is known for his six wives. Here’s a little satirical music video for those who are interested. One of his wives, his first, Catherine of Aragon, could not produce a legitimate male heir to the throne. Henry, enraged, demanded a divorce so he could remarry, to someone who could possibly give him a son. Pope Clement VII’s refusal to annul Henry’s marriage to Catherine triggered the break between Henry and Catholicism, which would lead to English Reformation and the creation of the Church of England. More on that in a bit. In short, Henry no longer recognized the power of the pope, and divorced Catherine. Henry VIII’s death led to the next generation of protestants. Edward VI (1537 – 1553), the adolescent son of Henry, was deeply committed to Protestantism. Edward died before marrying (tuberculosis), and was succeeded by his sister Mary I (1516 – 1558), who supported Catholics. So within ten years, the citizens of England ricocheted between the two religions. Mary threatened Protestants, forcing people to convert to Catholicism. However, Mary died in 1558, and was succeeded by her sister, Elizabeth I (1533 – 1603), who swung religion back to Protestants. All of this religious turmoil in England distracted the English civilians from Atlantic colonization until Elizabeth held the throne secure for twenty years. War between Spain and England led Europe into American exploration soon afterwards. From 1582 to 1602, Elizabeth enlisted protestant ship captains, such as Sir Francis Drake (1540 – 1596) and John Hawkins (1532 – 1593) to lead against Spain during these wars. Basically, these men did nothing but “legal piracy”, and the only reason it was technically legalized was because Queen Elizabeth I told them to do so. The people of England saw this as “a holy war against the catholic devil of Spain”, when in fact it was really nothing but piracy and skirmishes on sea. During all this, explorers began mapping the Eastern coast of America and establishing bases for supplies in America, to aid the “pirates” against Spain. 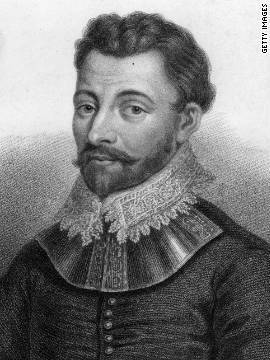 Humphrey Gilbert (1537 – 1583) established a North American settlement quickly, and drowned in the wreck of one of his ships. His charter, which was awarded to by the Queen, passed to his half brother (who was also a favorite of the queen), Walter Raleigh (1522 – 1618). 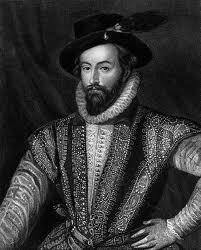 Walter Raleigh is described as an adventurer — witty, poetic, brave, daring, and most importantly — wealthy. Raleigh used his wealth to survey land in North Carolina. Eventually, he dispatched settlers to build a settlement on Roanoke Island. This flopped horrendously, and soon the settlement was abandoned. In 1587, a second party promoted by Raleigh tried again, in the same location of Roanoke Island. Perhaps this more equipped group of settlers would have survived had it not been for the following event. In 1588 the Spaniards organized the grand armada against the British. This turned into a massive failure for the Spanish, but Raleigh lost contact with the Roanoke civilization during the invasion. It wasn’t until 1590 until Raleigh could send supplies to Roanoke. On August 18th, 1590, the supply ship arrives to Roanoke. It is discovered that Roanoke is deserted, and the only clue is the word “CROATOAN” carved into a tree. Croatoan was a nearby island, and the settlers were not there either. “The Lost Colony of Roanoke” is perhaps the first North American mystery, and it was enough to make Raleigh stop caring about America. It was impossible to finance colonies as people expected nothing but failure. From the 1550s onward, however, individuals could pool money, and failure meant that they wouldn’t go bankrupt — as instead of being in control of an entire pot, they were only held responsible for their piece of the pot. However, with less stake during failure also means less profit during success. In 1606, London promoters obtained a charter from England’s new king James I (1566 – 1625). This group of promoters called themselves The Virginia Company, and their settlement would be organized by corporation. The company chse the coast of modern day Maine to set up their colony — Popham Colony. They assumed that Maine would have the same climate as England since it was on the same Latitude. They were wrong, obviously. The winter of 1606 proved their assumption to be incorrect, and in 1608 the short-lived colony crumbled. Now we reach Jamestown, located in Chesapeake Bay, along the James River, which was named after the king. Since the bay was located on the same latitude as the Mediterranean, the climate would be that as much warm, right? Wrong. The area was marshy, and the Indians were soured of European colonization already. Lack of focus plagued the Jamestown citizens. Out of the 104 original settlers, half of them could be classified as “gentlemen”, or semi-aristocrats who believed they would be supplied by the British. They did not know how to — nor wish to — grow their own food. Disease, malnutrition and conflicts with Indians took out half the settlers, and the only things keeping the colony alive were the infrequent supply ships sent from Britain. The king gave the governor no salary. The king gave the governor no support. So, to take care of business, the governor began taking taxes from people. Due to this, the colonies of Virginia accidentally created the first legislature in America. Eventually, the only new people arriving in America were people sent by the Crown — gangs of unemployed gangsters and criminals who were unwanted. No real improvement is noticeable from the transition of power from the Virginia Company to the Royal Crown. In fact, neglect soon occurred, and the people of America learned that the crown didn’t really care what they did. On paper, England was a Protestant country. On fact, a number of English Catholics did not like nor live by this. Clinging to Catholicism in England during the 1600s would be like being a communist in America during the 1950s, or swearing allegiance to a cult or terrorist organization today. Elizabeth and James set a “don’t ask, don’t tell” sort of policy to Catholics, and made it easier to live with religion. However, these Catholics wanted to keep their religion free for good, and wished to move to America where the Crown would neglect them. George Calvert (1580 – 1632), the first Lord of Baltimore, converted to Catholicism and devoted the rest of his life to developing a settlement in North America where his fellow Catholics could establish a colony, where they could still be loyal to the Crown but still be able to practice their religion. Now the year is 1625. James I dies, and is succeeded by his son Charles I (1600 – 1649), who was a bullheaded monarch with a talent for outraging nearly every aspect of British life. In 1642, the English Parliament finally had enough of Charles, and overthrew him. They swiftly converted Britain into a Republic. This republic lasted until 1660, and went through mismanagement and uncertainty. Eventually Parliament recalled the Republic and gave power to Charles I’s son Charles II (1630 – 1685). 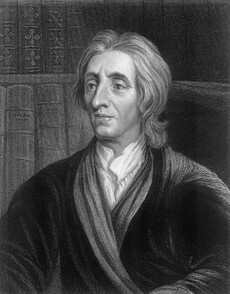 They hired John Locke (1632 – 1704), a philosopher and radical politician, to create a fundamental constitution for Carolina. It looked new to the people, and devised of a three tier society. At the top of said tiers would be the eight proprietors who founded the colony, followed by classes of gentlemen with separate names thrown in, and at the bottom would be the small land owners and planters. The proprietors would constitute Carolina’s court, basically a supreme legislature and supreme court rolled into one. And they would be assisted by a council that could veto their actions. This would eventually evolve into the American government we know (and love to bash) today. The Church of England would be the official religion of Carolina, but anyone who believed in God, including Jews, could be allowed to participate in what was essentially religious freedom. Although this may seem normal today, it was seen as unlimited anarchy to the people of London. However, nobody wished to spend the money travelling to America to stop it, and they allowed more and more companies to pay for voyages themselves. In short, Carolina was an experiment, or a counter-culture of the day. However, nothing can be seen as “the most absurd” of American experiments other than Georgia. However, these ne’er do wells would have to be managed. The founders governed as “trustees” who banned the sale and use of liquor and slaves. They even interviewed settlers to make sure they were worthy enough of this charity. No legislature would be required in Georgia during this time, as the trustees knew what the people wanted and needed through these interviews. Virginia would become successful due to tobacco, a European luxury at the time. Carolina soon learned that they could grow rice and indigo, and began using African slaves — something that will be touched on in a few posts. In the 1680s, London finally noticed these profits, hidden behind risks, in America. They began placing economic regulations, the foundation for the American Revolution. London now wanted control over these colonies. In 1676 hired laborers revolted against governor William Berkeley (1605 – 1677) in Jamestown. Under Nathanial Bacon (1647 – 1676) they burned Jamestown and drove Berkeley out of Virginia. It took the Royal Crown to fix this, and showed that Virginia was still under Britain’s control. Carolina soon followed Virginia, allowing the Crown to take control again. 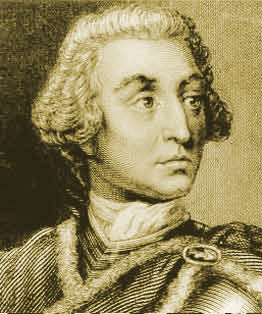 In 1752, Georgia’s trustees sent the colony back to the Crown. England now dominates America. This concludes this section of the series. We’ve finished talking about the southern experiments, so next week we’ll dive into the radicals of New England.